Bénoît Segatoma, a resident of Muyebe I Settlement in Ruhango Cell of Rongi Sector – Muhanga District, wakes up early morning, collects cow dung from the cowshed and mixes it with water until it gives homogeneous slurry ready to produce energy. “It does not work well, it produces very little energy which can hardly cook beans,” Segatoma told KT Press adding that initially, he shared the biogas tank with other three households, but they abandoned it. “It needs too much dung and it is hard to maintain,” he said citing the scarcity of raw materials, water and money to repair the gas storage tank once damaged. To have biogas energy, one needs to put into the biogas tank cow dung and water, to mix these row materials while removing unwanted substances-solid materials are dangerous in a biogas slurry. This energy is channeled to the house through pipes for cooking and lighting. For example, four homes sharing a biogas facility may need 100 kilograms of dung and 4 jerricans of water to run for one day, according to Jonas Iyamurenye, the local leader of Muyebe model village where a biogas pilot project was launched a couple of years ago. Muyebe I is inhabited by 105 households that were relocated from Western Province, to pave way for Gishwati National Park. The new village dwellers needed energy for cooking and fertilizers to start farming their new acquired land. 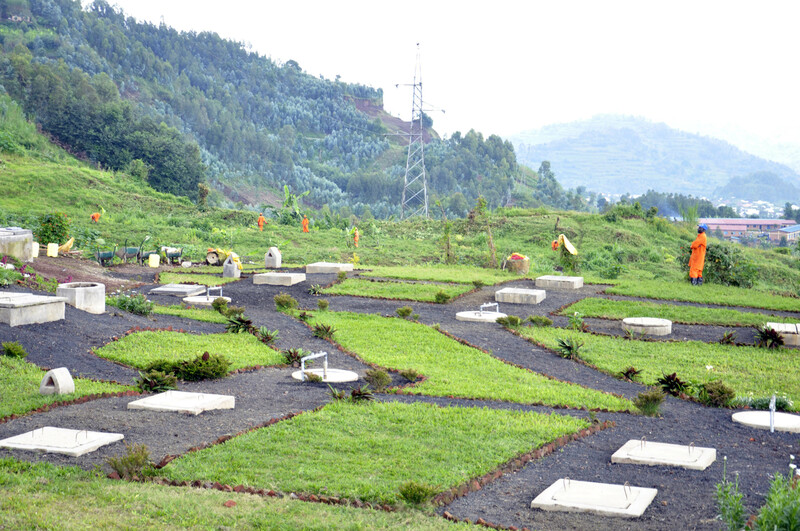 The Rwanda Environment Management Authority (REMA), thus, invested heavily to empower the village. Every household was given a cow and the environment protection think tank embarked on lighting the village while providing energy for cooking at the same time. “Every four households were provided with a biogas reservoir, and all cow sheds were channeled to the plant,” Segatoma says, claiming that some reservoirs were mismanaged while others were simply abandoned. Segatoma says that for most of the plant the gas holders are not properly covered and gas pipelines have been damaged. “While there were 25 biogas plants in the settlement, less than 10 plants are still functioning,” he said revealing that local leaders are aware of that, but do not take action. “Some of the owners no longer have cows, others do not have water while some others no longer have capacity to feed well their cows,” Mpagaritswenimana told KT Press. “For Muyeye’s case for instance, it is the lack of cow dung rather than technical problems,” he said adding that residents prefer using cow dung in fertilizing their garden instead of using it for energy. Sensitization to use biogas started in 2007 and the target was, not only households but also, institutions like schools, prisons and hospitals. The aim was to invite people to desist from using firewood. Since then, the Government injected around Rwf6 billion, including Rwf4,5 billion meant to have been spent on households biogas plants on top of the cost for training and sensitization. 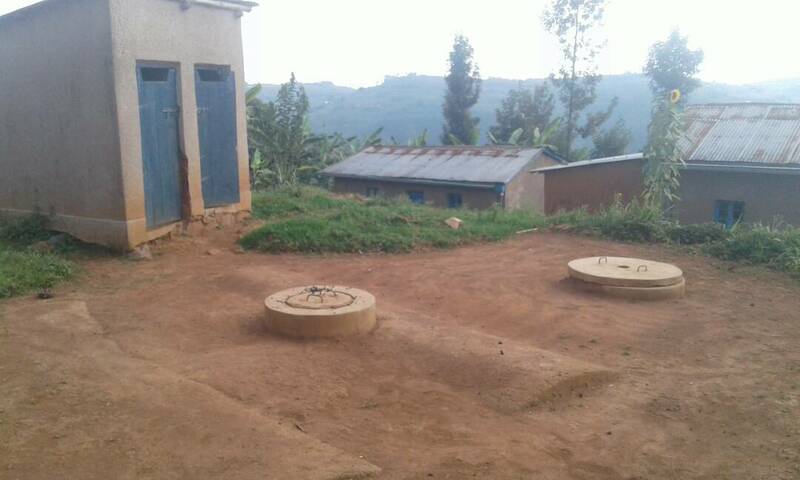 The projects allocated to biogas plants in school was around Rwf1 billion. 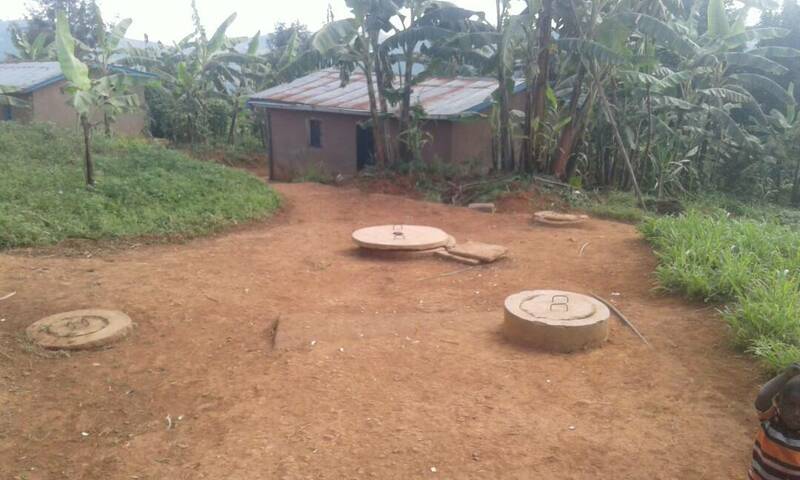 Part of the Rwf6 billion fund was meant to subsidize biogas facility in households-the government would pay 50% (around Rwf300, 000) for every home biogas facility. The campaign for clean cooking energy was at pick in secondary schools and prisons. By 2012, 73 boarding schools were also provided with biogas facilities estimated with a capacity between 30-50 cubic meters. However, few of these plants still function. A typical example is Nyagatare Secondary School where a biogas plant worth Rwf50 million was built, but did not provide energy for even a single day. “Our biogas did not work due to technical issues,” Eduard Kabale, Nyagatare Secondary School Headmaster, told KT Press emphasizing that his school had all it requires for the plant to function. “The schools have many cows. So, we did not encounter any cow dung problem,” he said. However, while other areas are failing, the biogas project is successful in prisons. CIP Hilary Sengabo, Rwanda Correctional Services (RCS) Spokesperson, says that all prisons in Rwanda, except Nyagatare Prison. The use of biogas is at 60%. For example, he said, Nyanza Prison has a biogas plant with 6 digesters and this plant has cut back on firewood by 55%. While they would be spending Rwf1, 242,000 a month for 23 bundles of wood on a monthly basis, the prison uses about Rwf500, 000 on cooking energy monthly. “Biogas is clean and it allows us to protect inmates from respiratory diseases,” CIP Sengabo said. CIP Sengabo admits, however, that biogas requires too much human waste or cow dung and also building the plant is expensive. He said RCS is planning to contract a gas importing company so that they could use gas along with biogas. “We are targeting zero use of firewood. We are soon contracting a gas importing company so that the gas cylinders can complement our locally made biogas,” he said adding that this falls into the government policy to protect the environment. According to Energy Development Corporation Limited (EDCL), a company entrusted with energy development and utility service delivery in Rwanda, the ignorance of the technology involved is costing failing the Biogas project. However, Oreste Niyonsaba the EDCL Manager for Clean Cooking Energy and Biogas, for a school to qualify for biogas plant, it needs to have enough materials – the cows to produce dung. He, however, explains that even in the presence of cows, maintenance of the biogas facility will determine if you will have cooking energy or not. He said on schools for example, workers relax during the holiday which affects the running of the plant. According to EDCL, as of March this year, 10,240 households had biogas mini plants meant for cooking, while the target was 15,000 households biogas by 2018. 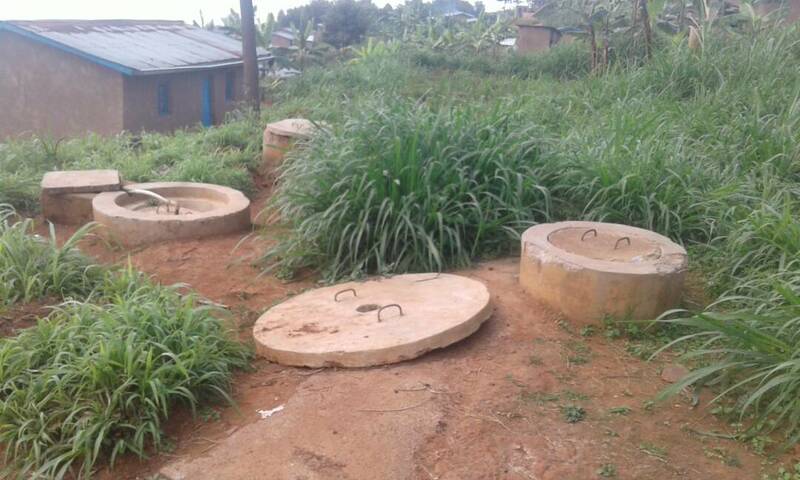 “The current statistics show that 72% of the household plants function, but only 55% perfectly function,” Niyonsabaa told KT Press, adding that while a household biogas plant is estimated at Rwf600,000 the Government contributes 50%. The Integrated Household and Living Condition Survey (EICV4) which was published in 2016, indicates that biogas use in Rwanda is insignificant. Firewood is still the fuel used for cooking by the vast majority of the rural population (94%) in in 2013/14. In the urban areas, charcoal is used by 68% of households, followed by firewood (29%). Experts say that the slow progress of alternative cooking energy are grossly affecting the outcomes of environmental conservation initiatives. Rural households have not changed the fuels they used for cooking in the last three years, a slow trend can be observed in the urban areas away from firewood (36% to 29%) and toward charcoal (61% to 68%) in 2010/11 and 2013/14 respectively.